Board games are great fun: I especially like Pandemic and Ticket to Ride. Some are so good they get turned into PC games. Mysterium is one such example, and after proving popular on Steam, it's garnered an Android release as well. Mysterium is set in the 1920s - prime detective era, think Agatha Christie - and is a little bit like Cluedo (Mrs White, in the ballroom, with the candlestick). A ghost guides a group of psychics to uncover a murder using only visual clues, leading them to the murderer, the weapon, and location. Co-operation between the psychics (i.e. players) sees the mystery uncovered faster. Expansion packs are available in the in-game shop (meaning in-app purchases), with either solo play with AI players making up the rest, or multiplayer for up to seven players total. Board game adaptions can sometimes be a bit... hit and miss, but Mysterium seems perfectly suited to the computer (or phone). 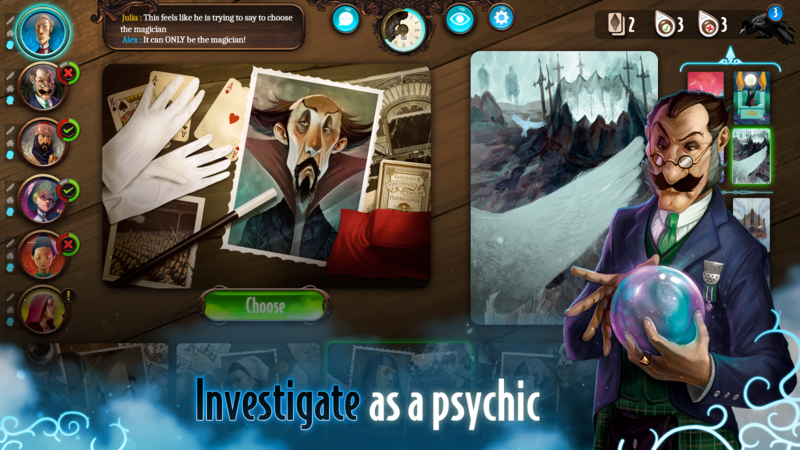 Mysterium is available for $6.99 for both phones and tablets, but does have in-app purchases for the various expansion packs.